Navigate to the Payments page by clicking on Sales in the main menu and then selecting Payments in the dropdown. If you have no payments you'll be asked to Get Started. Click this button and a slide in Add a Payment form will appear. 1. Choose the sale that the payment relates to in the Sale dropdown. This dropdown will only show you sales that are not fully paid. 2. 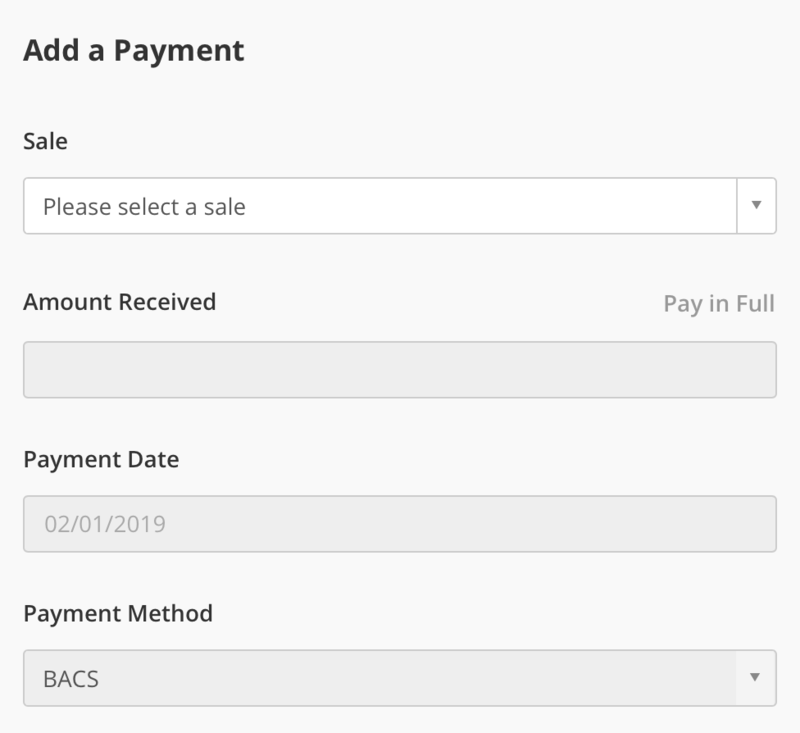 If the payment is in full then click on the Pay In Full link and Campus will insert the amount remaining against the invoice into the Amount Received box. 3. The Payment Date will automatically be today's date but you can edit that if you like. 4. You can also record the Payment Method.